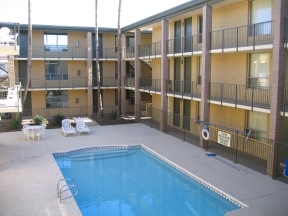 Sometimes a great apartment really just comes down to being in a great location, and even though City 15 Apartments boasts some great amenities onsite, its location is really what sets it apart from the other utilities included apartments in Phoenix. 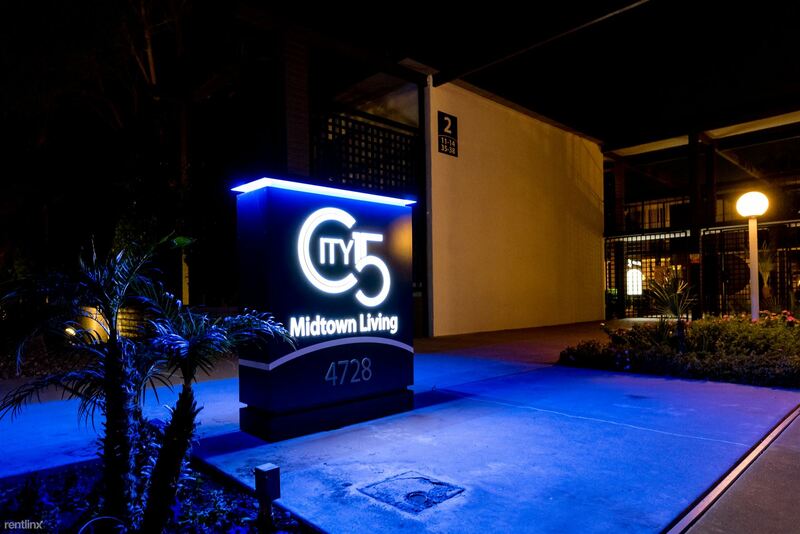 City 15 is located in historic Phoenix right on the border of Midtown. With a Whole Foods Market a few blocks away and a variety of restaurants (some chain eateries, some local), City 15 is a convenient location. City 15’s onsite amenities are stellar as well. With open courtyards, a glamorous pool, and hot tubs, City 15 has that valley vibe. The apartments themselves might not be luxury and might lack personal washers and dryers, but with free utilities, it’s a fair trade off. The Sunset Villas in Tempe have a prime location, particularly students of Arizona State University. Central Tempe is within walking distance as are all of its restaurants, book stores, and cafes, as Salt Lake and Tempe Town Lake. The immediate neighborhood around the Sunset Villas is busy, but offers many conveniences. While the Sunset Villa apartments aren’t anything to brag about - basic units at an average rental cost, the plus of free utilities is definitely a perk for a student looking for living on the cheap side. Although, Dartmoor is located only 10 minutes from central Mesa, its location and its immediate neighborhood will most likely be a turnoff for many. Minor theft is common in the area which is a shame since the apartment community itself, and the apartments, are maintained quite well by the staff. The apartments are decently spacious for their price, especially the 2 bedroom/2 bath. 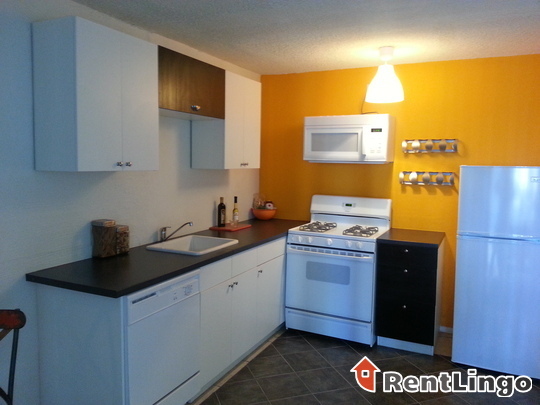 Some units have been upgraded with new countertops and appliances, but those that haven’t have very outdated appliances. However, if you need a place in Mesa and are looking to cut costs with free utilities, Dartmoor is worth considering. 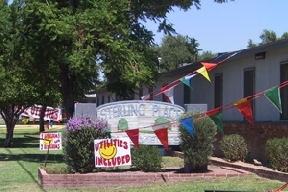 Sterling Place is another example of what often comes with an apartment with utilities included - the apartments aren’t the best quality, but living there will keep your expenses low. Plus, the community grounds are open and inviting and have a community atmosphere. While the immediate neighborhood is busy and loud, its close proximity to Phoenix-Wickenburg Highway in northwestern Phoenix means an easier commute to either Glendale or central Phoenix. Finding a utilities included apartment often means forgoing some of the finer amenities one might find in an apartment complex. And that’s okay, since sometimes all you really need is a cheap apartment. The Vibe Apartments is that type of choice. Although the apartments have gone renovations and feature new appliances, the apartment community still need some work. The location is somewhat convenient, but not the most appealing. Located in northeast Phoenix off of Thomas road, the area is busy, most of the nearby eateries are fast food or chain stores, and there are several pawn stores within several blocks - often signs of a less desirable area. But, with affordable prices for rooms and utilities free apartments, these apartments might just be perfect for the right person. 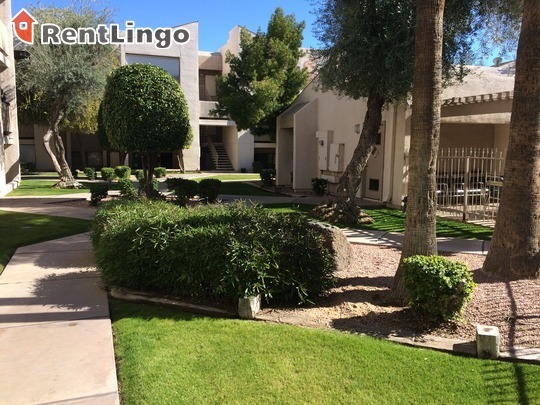 RentLingo is your trusted apartment finder in Phoenix. We hire local experts, such as former property managers and locators to anonymously tour and consistently rate and review every available place. They share their honest and unbiased perspective with you, so you know how every rental ranks in the area. Because our experts tour every property, we can offer consistent apartment ratings across every region. So unlike finding a Backpage or Craigslist rental, you can trust these apartments are verified and trustworthy: whether it's a cheap studio or a one bedroom with all utilities paid all the way up to a nice house for rent or a luxury condo.